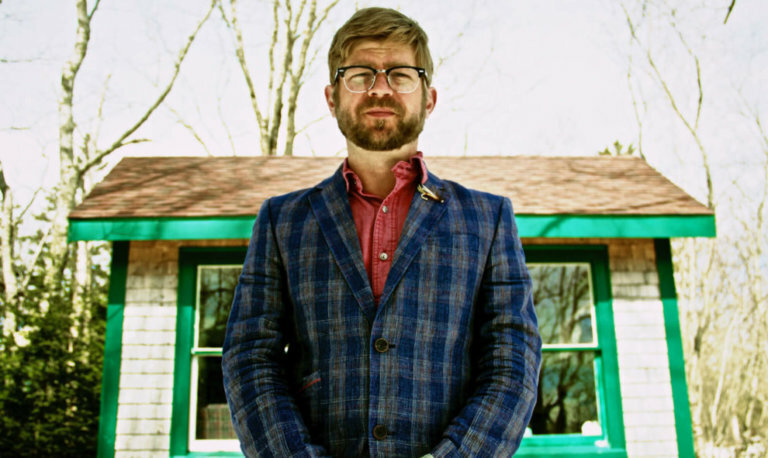 Charlottetown (P.E.I) – Two-time Juno-winning balladeer Chris Luedecke, a.k.a. Old Man Luedecke, is coming to The Mack on March 3 at 7:30 p.m. with a show that promises to have you craving sardines by the end of the night. You may know Luedecke from his 2015 hit song, “Early Days,” where he used humour and sentiment to describe his experience as a new parent. His catchy lyrics “You got to hold on, it goes so fast, these early days, they don’t last” instantly connected with his fans who frequently request the song at his shows. It’s also the number-one requested bedtime song of Luedecke’s three daughters who happen to be the song’s muses. Luedecke’s follow up to “Early Days” is a song about something else he loves… Brunswick Sardines. For people who know Luedecke’s eccentric personality, it comes as no surprise that he would write an entire song about one food and even dedicate a whole verse to the different types of sauces that sardines are packed in. “Sardines are actually a way better food than what everybody thinks,” defends Luedecke. “When I serve guests a sardine lunch at my home they’re always surprised at how good they taste,” he says with a little chuckle. After playing the Brunswick Sardine song while touring through the southern United States this past year, he discovered people in the audience who also loved sardines, so much so that he has received fan letters from people thanking him for writing the song. He finds it great, but also a little strange that the two main songs his fans connect to are complete opposites on the emotional spectrum. Luedecke’s “goofy intelligence” (his words) is what he feels is the reason. He believes it’s what draws people to his music and lures them to come to his shows. Special thanks are extended to show sponsor Purity Dairy, and Sobeys, the title sponsor for LIVE @ the Centre! Media sponsors are The Guardian, Ocean 100, and Hot 105.5. Photo cutline: LIVE @the Centre’s Songwriter Series brings you a modern-day people’s poet, Old Man Luedecke, on March 3 at The Mack. Show starts at 7:30 p.m.